To kick off the summer season, we all relaxed on N. and M.'s deck from the afternoon into the evening. M. grilled chicken, shrimp and corn-on-the-cob (seriously, amazing!). Plus, they served a keg of Boulevard Wheat from the Kansas City brewery. Adding to the spread of dips, chips, cheese, and sweets, I brought Peanut Butter M&M Blondies. 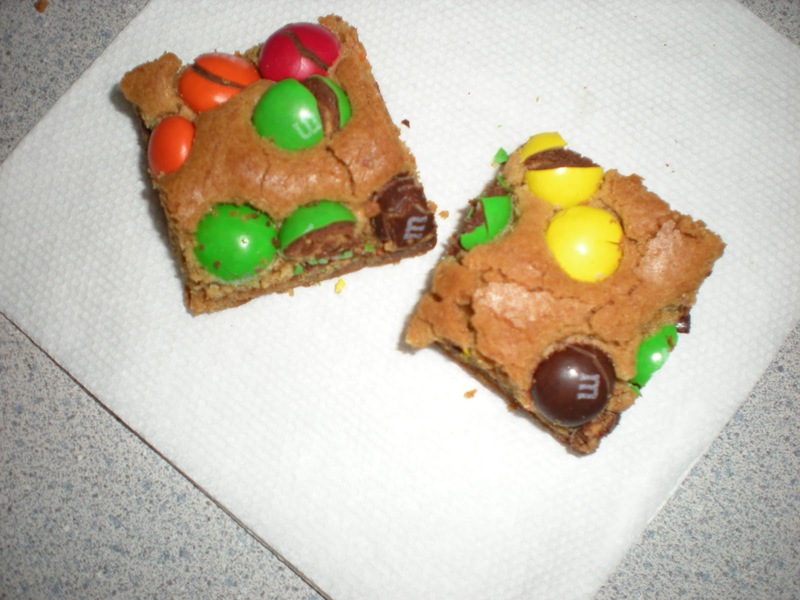 Nothing like a tasty bar topped with my favorite type of M&M. 1) Preheat oven to 350 degrees F. Grease 9x13 inch baking pan. 2) In medium saucepan, melt the butter and brown sugar, stirring until smooth. 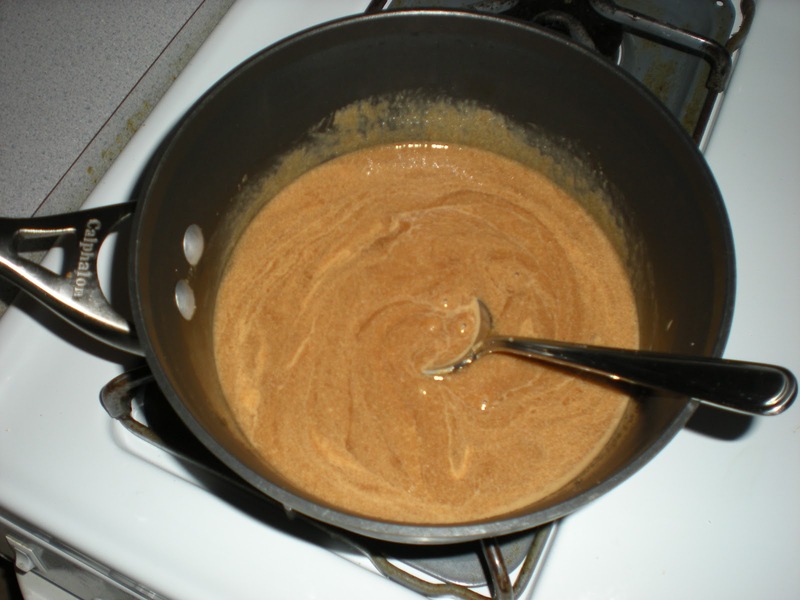 When it is smooth, remove from heat and add peanut butter. 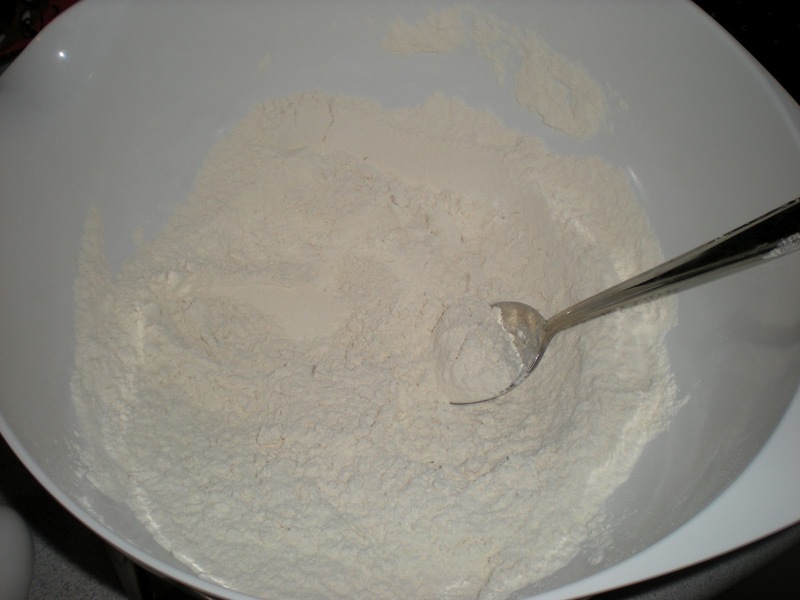 Allow to cool while combining the flour, baking powder, baking soda, and salt. 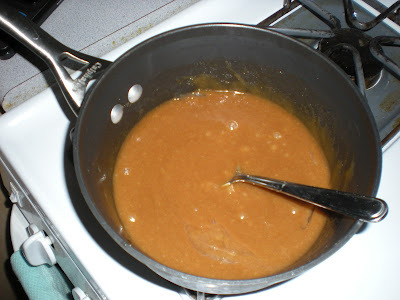 3) Add the eggs to the brown sugar and peanut butter mixture, mixing well after each addition. Add the vanilla and stir to combine. Pour the mixture into the mixed dry ingredients and stir until combined. 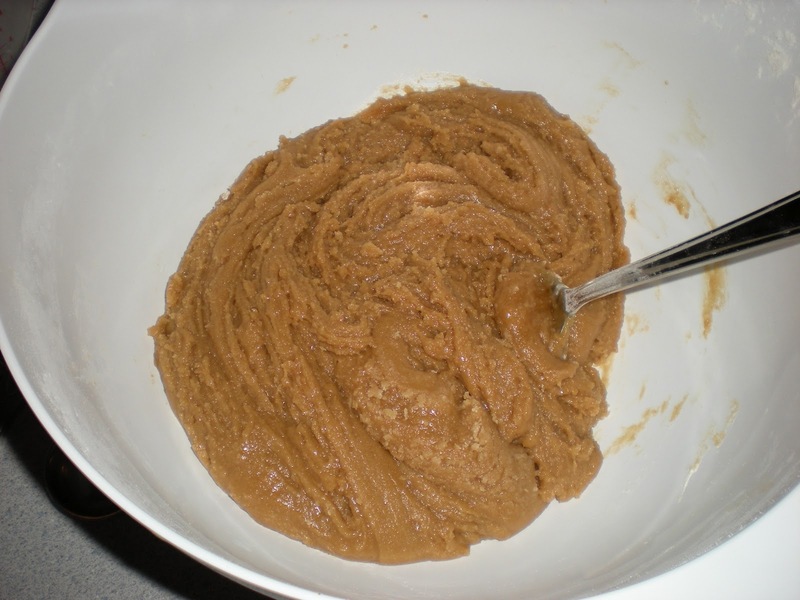 It will be a thick, smooth batter. 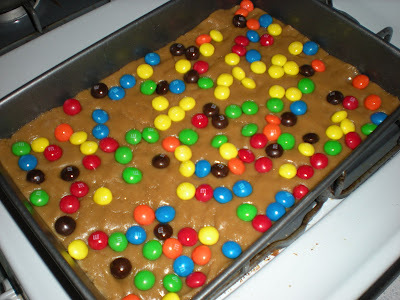 4) Pour into prepared baking dish and top with peanut butter M&M's, pressing them down into the batter. Bake in preheated oven for 25 minutes. 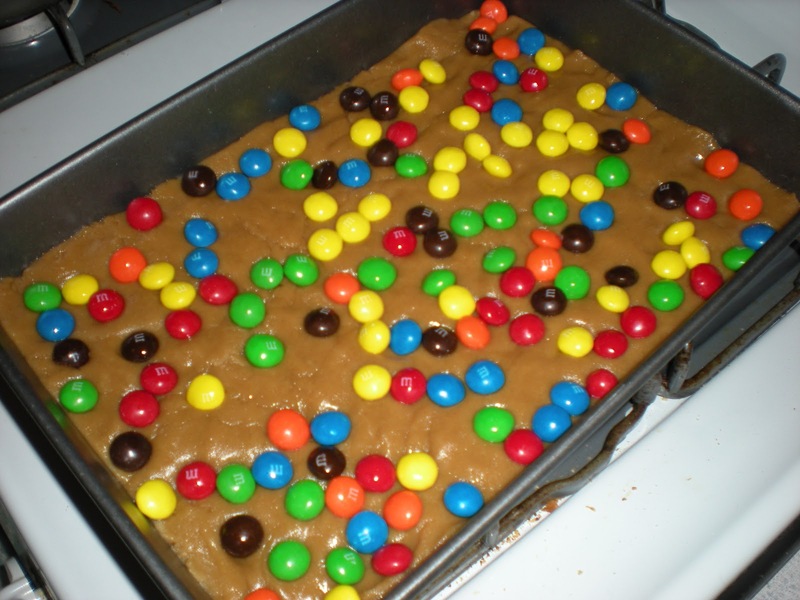 [My oven is "hot" so I could have pulled them out a few minutes earlier for softer, more gooey bars.] 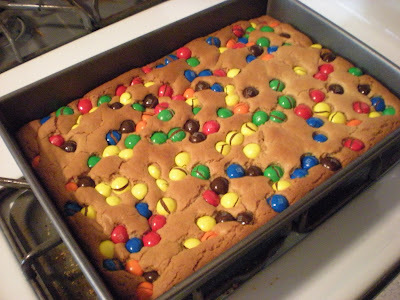 Allow them to cool in pan before cutting into bars. 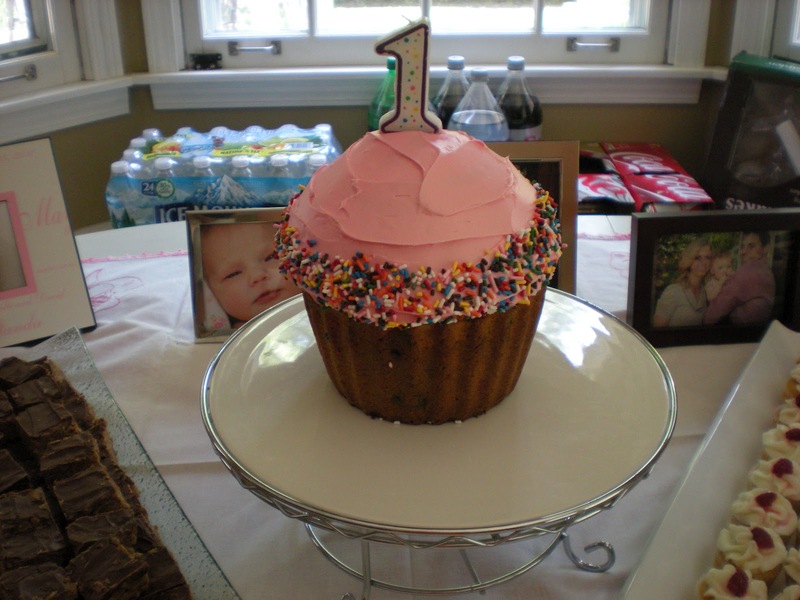 We also celebrated the 1st birthday of Scott's cousin's daughter (the one I've been nannying for over the last few months). She's gone from a baby to a toddler before my eyes... from not even crawling to almost walking. When her mom D. asked if I would make a giant cupcake cake, just for the birthday girl, I was honored. 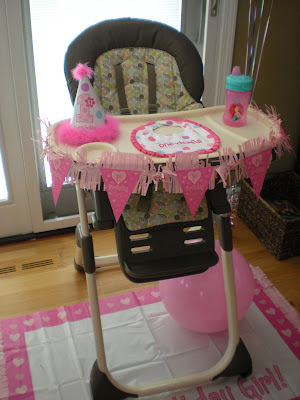 And it felt like things had come full circle since I made this cake for her baby shower last year. How much has happened and changed since then! Happy weekend! For us Chicago folks, let's hope the sun comes back after all this rain. I'm off to an end-of-the-year reception at DePaul today and then dinner with my ND girls tonight. Saturday and Sunday are wide open. Looks like I'll be paper writing... maybe making dinner on the grill with Scott... and hopefully heading to my third yoga class this week (feels good to get back into it!). Beautiful cake Melissa! I hope the pan is from Wilton! The tent sale starts today and runs through June 19! You should come by if you have time! 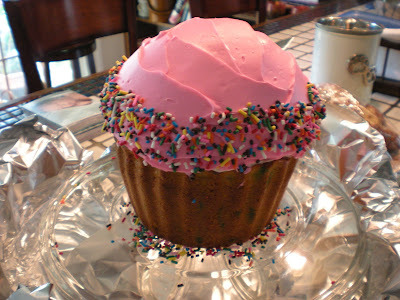 that giant cupcake is awesome! great cake for a 1st birthday. and i should make those blondies! I love anything chocolate and peanut butter, so those blondies sound amazing! Hope you have a fantastic weekend! 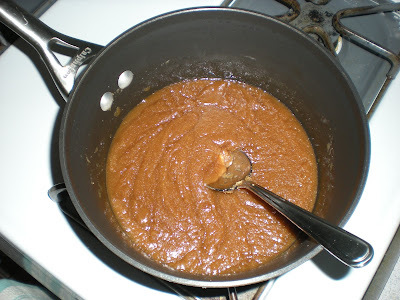 Ladies, you should totally make them... so easy and yummy. TGIF!